If you follow me on Instagram, you would know that I was in Antwerp with my mom a couple of weeks back – she was visiting me and was keen to see around, and a weekend getaway to Belgium made perfect sense since it is extremely quick(plus cheap) to reach from Amsterdam. 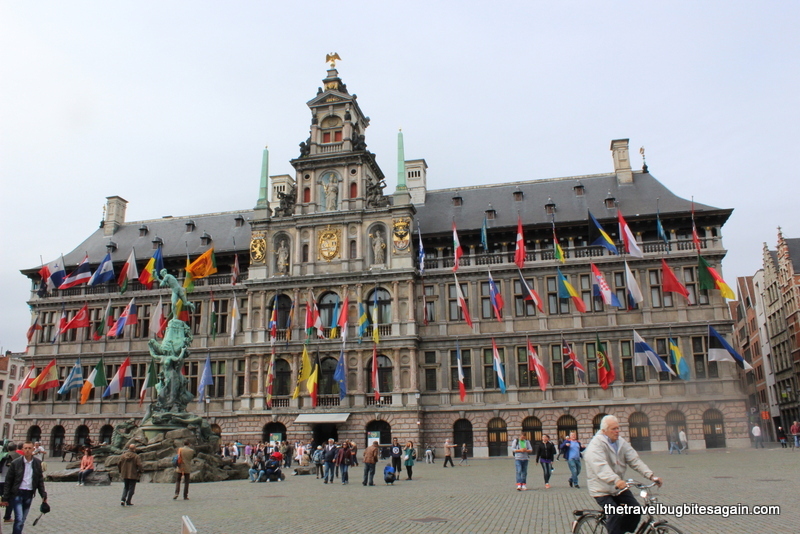 I was quite confused on which city to visit, Brussels seemed like the most obvious choice, but many of my colleagues suggested otherwise hence I decided to alter my plans and visit another city called Antwerp. 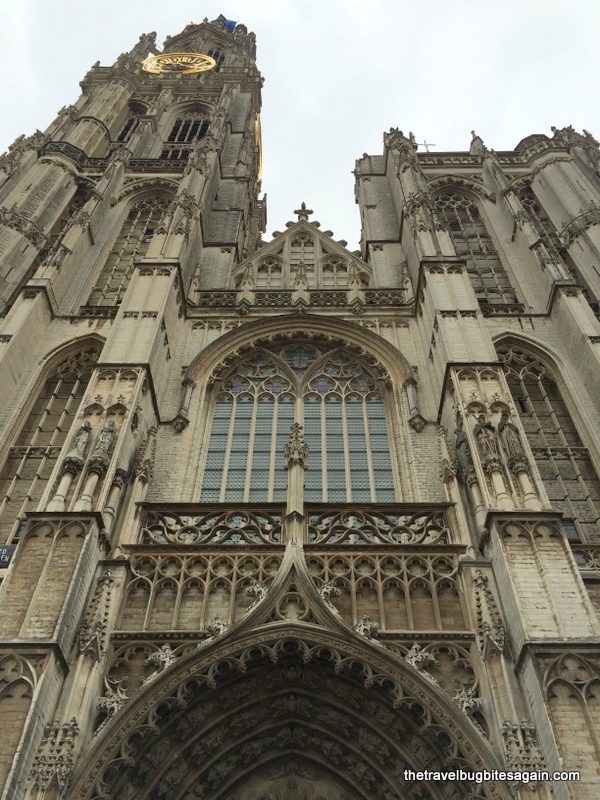 And I am quite glad that I did, because I found Antwerp to be extremely charming! I spent only 48 hours in the city, so I can’t really claim to tell you “the best things to do” since that is hardly enough time to draw firm conclusions, but I can tell you that all of what I did was based on the recommendation of my Airbnb host who is a true blue local, so what I share are definitely the highlights of this cute little city :-). 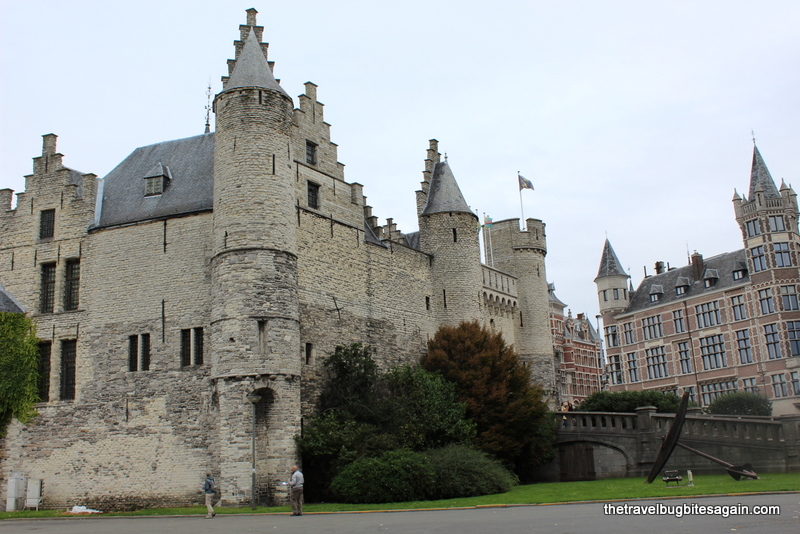 I did have some unanticipated challenges in Antwerp, which I will also share below and hopefully they are useful if you plan a visit sometime. Below is my account of how I spent 48 hours in this city. We reached Antwerp Central Station from Amsterdam by an NS International train – economical and convenient, this was a total breeze. If you research online, you will find enough people raving about the beauty that is Antwerp Central Station, but trust me, you really have to see it to believe it. I have never seen a train station so beautiful, so grand in my life and I doubt that I ever will. We had to catch a tram from the station to the Airbnb apartment that we were staying at, but we made a mistake and got out of the station. Since we had walked ahead, we decided to go to the next station and catch the tram and this turned out to be quite a challenge. At this station, you could buy a ticket at the machine, which had no English instructions (it did give an option to select English, but displayed text in French) so I had to ask people to help me. Everyone seemed to struggle, I guess not many people buy tickets at these machines. Secondly, it accepted no card and cash only in 10 and 20 euro bills, since I had a 50 I really struggled to get change and buy my tickets which was quite frustrating. 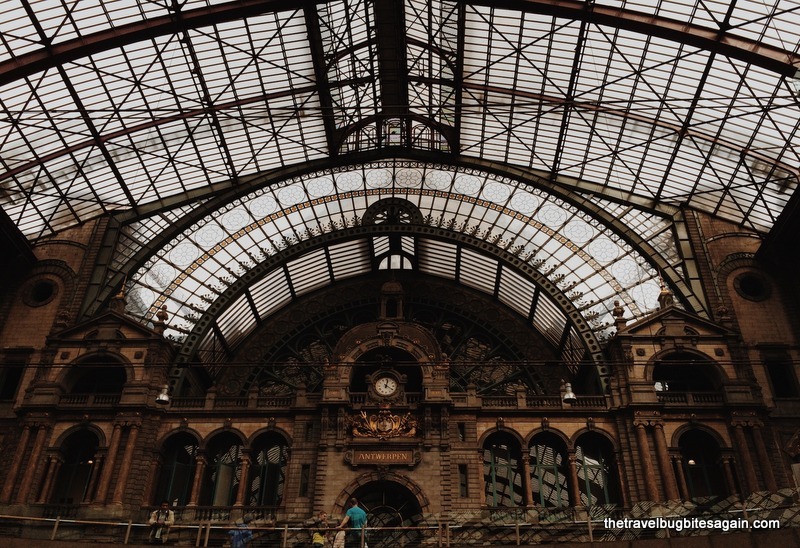 Tip #1 – Catch the tram from Antwerp Central as buying tickets there is easier. Carry different denomination notes. Anyway. We made it to the correct station where our host came to receive us. His name is Gregory and he is an extremely easy and friendly guy. You can find his apartment here. I had been dying to try Airbnb for the longest time so when this trip came up, I knew that the time had come ;-). And my first experience has been so fantastic that I am quite sure that I will be using Airbnb pretty soon again. I had researched a bit on the website and really liked Greg’s apartment which is in a very nice residential neighborhood. The apartment is extremely artistic, well-kept and comfortable. Once we reached, Greg showed us around and spent some time with us to give recommendations, based on our preferences. 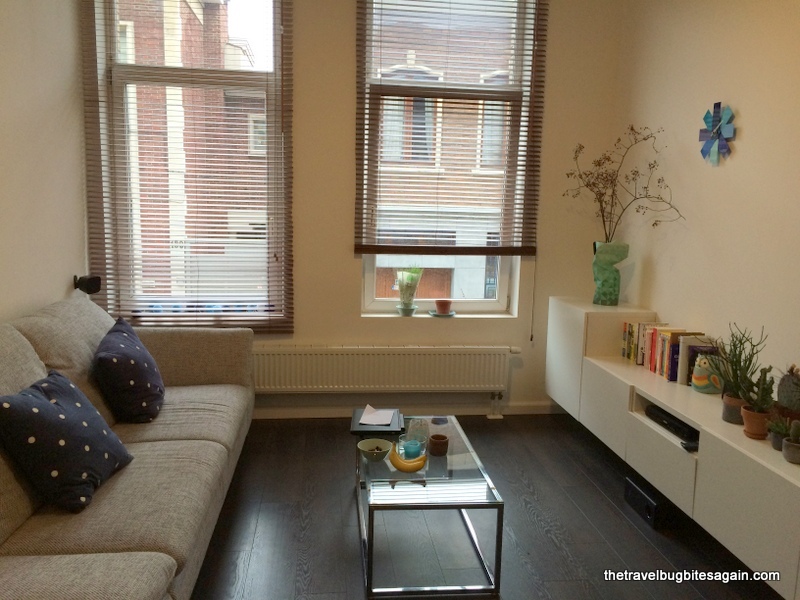 We relaxed a bit at the apartment and decided to head out to Groenplaats which is the city center. 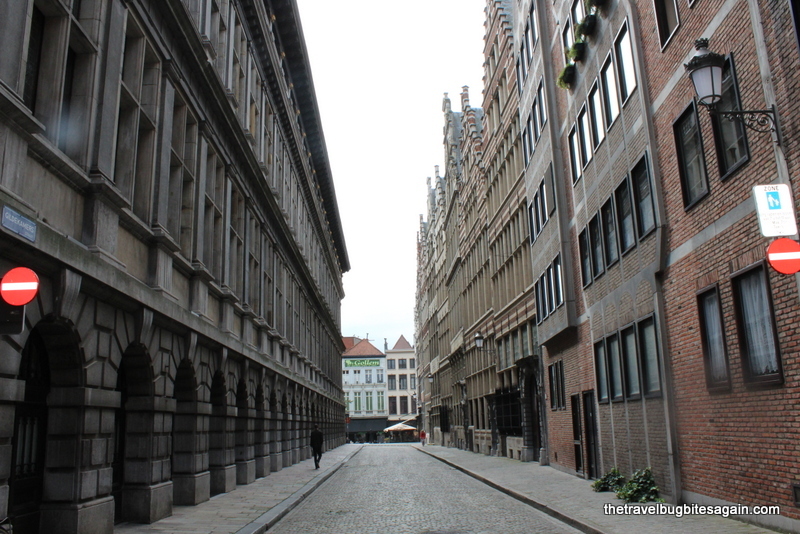 Antwerp is extremely small, so you can easily walk around or rent a bicycle. We took the bus since my mom didn’t want to do either :-P.
Once you reach Groenplaats, you will truly feel like you are in a fairy tale – iconic structures such as the Cathedral of our Lady, the Mayor house are surrounded by the constant ringing of church bells, horse carriages and aromas of chocolates, waffles and fries. It almost doesn’t feel real! However, if you stay away from all things touristy (which this place is), don’t be discouraged, you will still feel good about being here, trust me. It was raining so we decided to explore a good coffee shop and narrowed down on Sofie Sucree, one of the larger coffee shops with a cozy inviting atmosphere and a huge selection of coffees, teas and sweets. 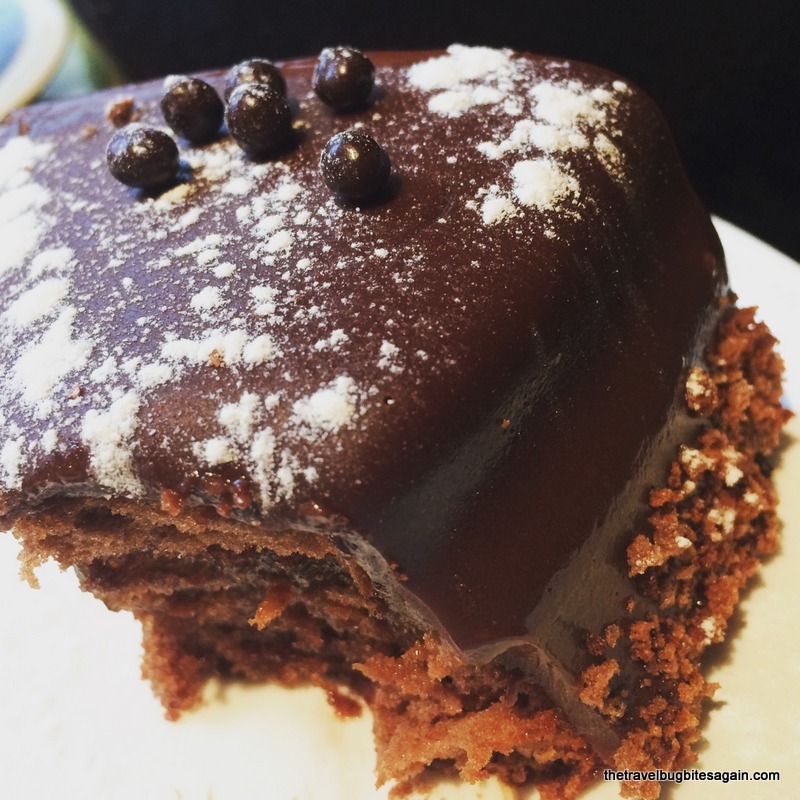 The café culture is extremely popular in Antwerp, and you haven’t really experienced this city fully until you have spent a few luxurious hours with a sinful dessert and a strong cup of coffee. 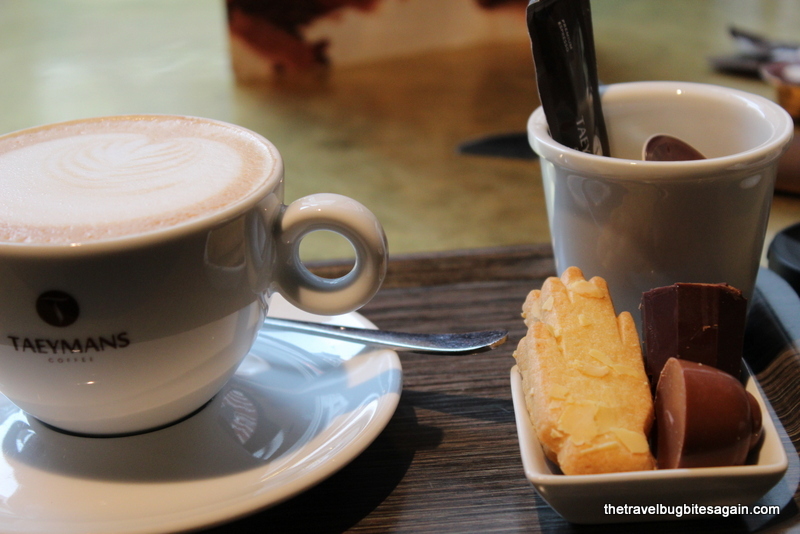 We had cappuccinos and shared a chocolate marmalade cake – and yes, the cappuccino came with a side of hand shaped cookies and milk and dark chocolates. What’s not to love <3. After our little break, we decided to roam around the area for a couple of hours, check out the cathedral, the food, the chocolates and more. 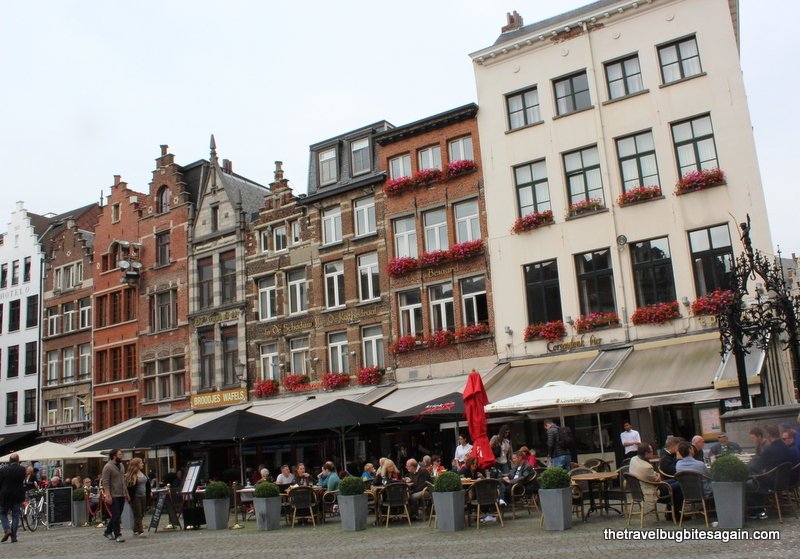 I found Antwerp to be quite exciting when it comes to food– there were endless restaurants with a wide variety of cuisines, ice cream shops, waffles, fries and so much more that we were pressed for choice. But being the foodie that I am, I decided to not let go of anything, to the extent humanly possible! Now I love potatoes in any form, and if they are fried then nothing like it, so when I came across a huge line outside a small shop selling fries, I just had to try them out. This shop is called Fritkot Max and you just cannot miss it at Groenplaats. 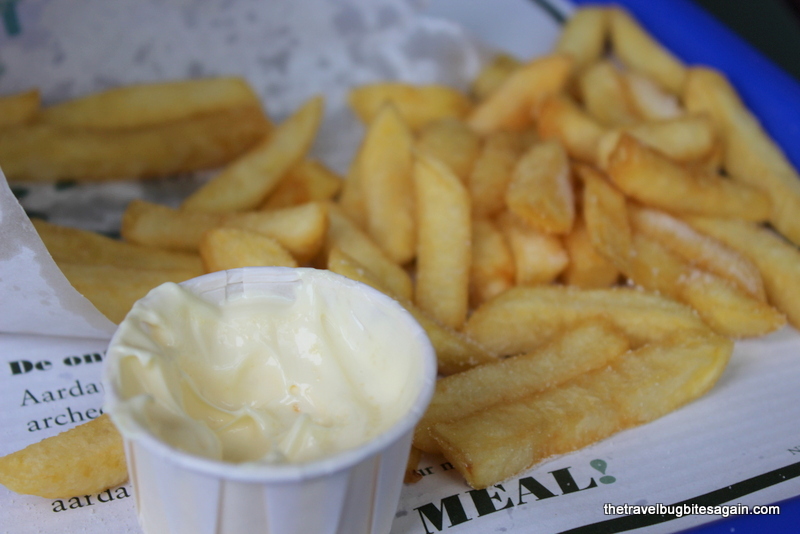 They were fresh out of the oil, crunchy,salty with a side of mayo. 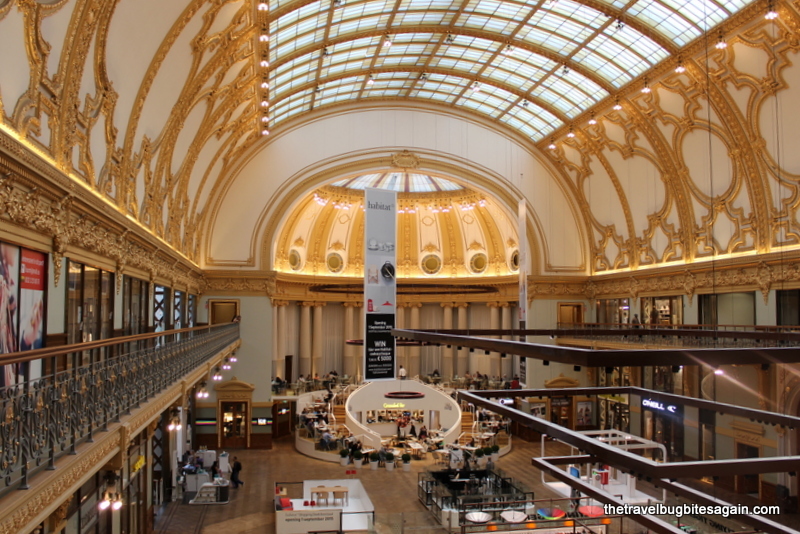 Then we were off to Meir, which is apparently the most important shopping street in Antwerp. I could see all high street brands on this street, most of which I find in Amsterdam as well so I wasn’t too willing to waste time here, however on my mom’s insistence I decided to check it out and I was surprised to find that the variety and deals here were way more exciting than in Amsterdam. In general, I also observed that people were more fashionably dressed. The highlight of this evening was checking out Staadsfeestzaal which is probably the most beautiful mall that I have seen in my life. I didn’t buy a thing here, all I did was look around and gape at the walls, the ceiling and the astounding beauty of this place. It is not a mall my friends, it is really a work of art ❤ <3. We walked back to Groenplaats for dinner and after contemplating between eating Thai or Indian, we finally decided to have Indian food at a restaurant called the Garden of India since it was extremely packed(which for me translates to “good food”) . I wasn’t a fan of the food here, because I obviously know what the real thing tastes like but it was passable. Then it was time to head back and chill in Greg’s amazing apartment. While we were walking back , we came across a party going on in the street – people sitting at laid out tables, drinking, laughing, the children playing around and riding bicycles (this was 10 pm in the night) and everyone having a merry time. I learnt from Greg that this is a monthly ritual, where the neighbors get together and have a street party. I found the idea so lovely and warm – in big cities people live for years in a neighborhood and have no connection with folks next door. Wouldn’t it be nice to get to know each and spend some time, atleast once in a while? We had a lazy start to the day with hot cups of tea and eggs at the apartment, which our host was kind enough to have stocked for us. After getting ready, we decided to pack our stuff since we were leaving the same evening, and head out for another day of exploring. I should inform you that on Sunday everything is closed, even the supermarkets so you need to factor this in if you plan a weekend trip. Tip #2 All supermarkets and shops are closed on Sunday (except the first Sunday of the month). In case you plan to use public transport on a Sunday, the only option will be to buy it on the bus or tram which is much more expensive than buying it at a station or supermarket. We paid a visit to Steen castle and clicked some pictures, another example of a fairy tale moment. 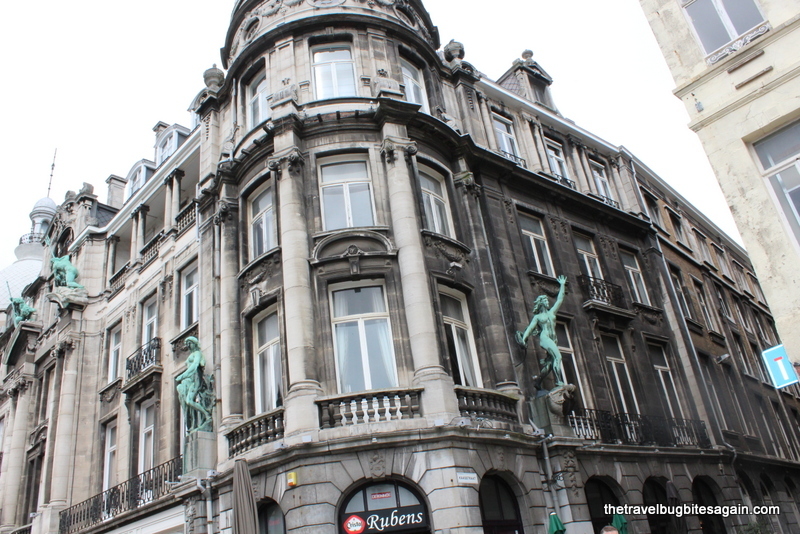 I found Antwerp to be extremely artistic, everywhere you look, you will see something interesting. Quirky lanes, beautiful buildings with decorated corners, which was unlike anything I had seen before. 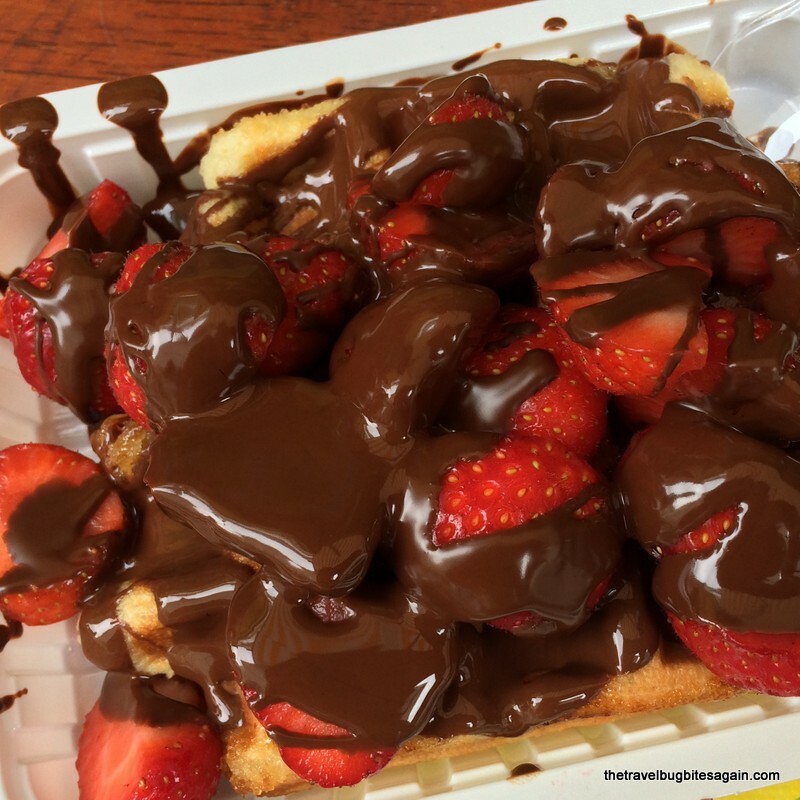 We decided to have lunch at a restaurant called A Thai at Grooenplaats which was really nice, followed by waffles at Crème la de Crème, which you can’t miss since it is always so busy! This was followed by buying some handmade Belgian chocolates to carry back home. We also spent some time at the flea market at the Cathedral, which according to me had a lot of shabby overpriced stuff, totally not worth it. It was time to head back, collect our luggage and say goodbye to Greg and get to the station for our train back to Amsterdam. I had such a wonderful time at Greg’s and I promised him that I will leave a review, which you can read here. 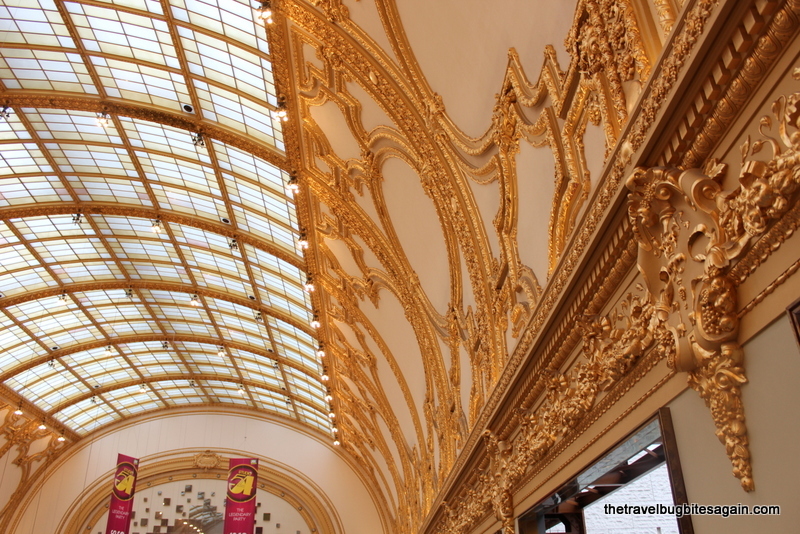 Have you visited Antwerp? What were your impressions of the city? 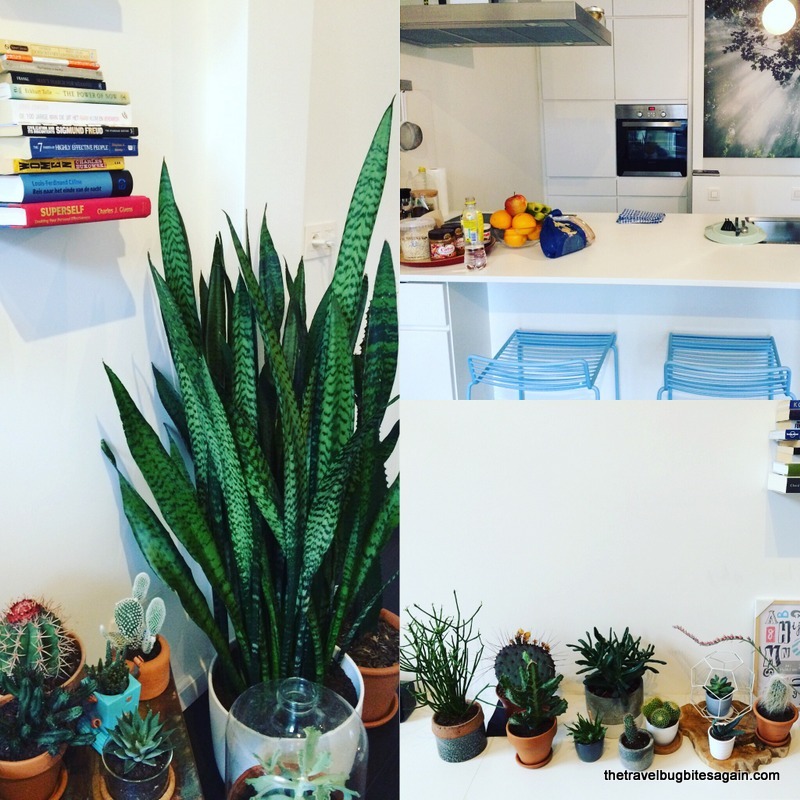 Disclaimer – This post is not sponsored by Airbnb, the views and experiences shared are completely my own. Nicely summarized.. Antwerp is underrated as a tourist city. Thanks Vivek! 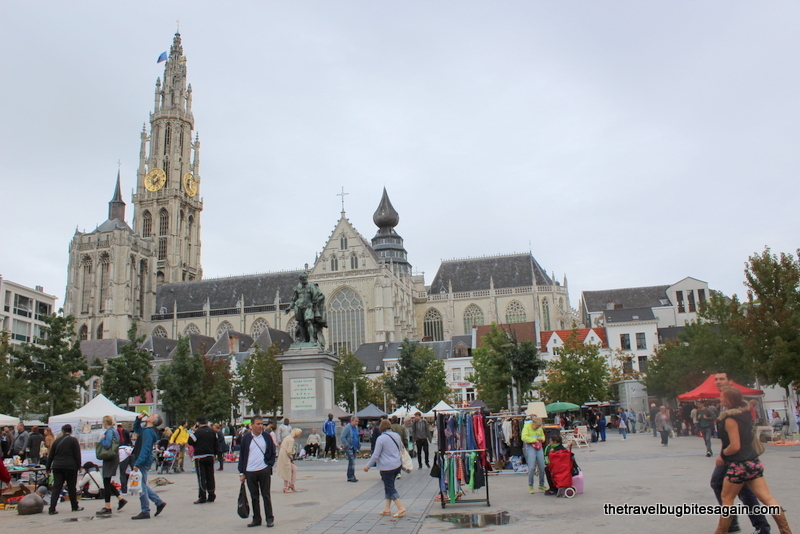 I totally agree, Antwerp is such a cute little city!